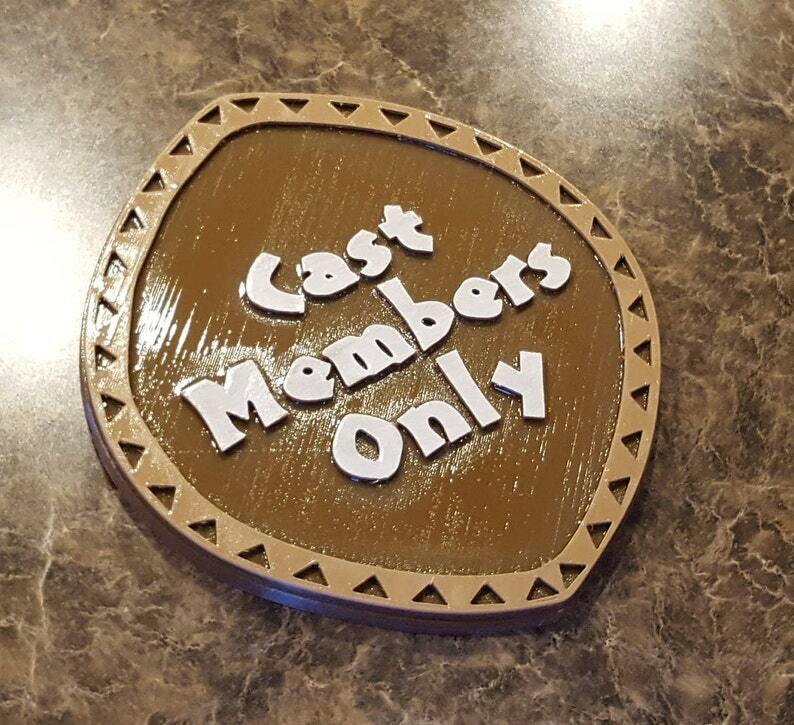 Circular Polynesian Themed Cast Members Only Sign / Plaque! It is made out of brown eco-friendly thermoplastic. Each piece is hand-painted and hit with a glossy finish to preserve the color. The piece is approximately 9.0 inches x 8.5 inches. The thickness is 1/2 inch. Each piece is custom fabricated. There is also a single mounting hole placed on the back as well. Each piece is placed in a packaging envelope that is lined with bubble wrap. Exceeded my expectations! Love it. The 15" XL version is the best option! This deserves 6 stars! Thank you for this perfect birthday gift for my Disney-loving husband! Arrived in advance of delivery expectation and i couldn't be more excited to have him open this on his day. Thank you!